Singer Jose Chameleon has called on Ugandans to turn up for Bobi Wine’s Kyarenga concert this weekend, at One Love beach, Busaabala. 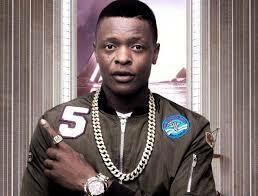 In an Instagram video, Chameleone asked fans to to spread love, and not hate. “Let us all turn up on 10th November for Kyarenga concert, said. But while at it, the singer used the opportunity to promote his upcoming concert. …And later December 7th saba saba. Let us spread love, that is the only we can harvest what we have sowed. Make difference between a lemon and orange,” he added. Kyarenga concert will finally take place this Saturday November 9, at his One Love Beach, Busaabala, after several attempts to hold it at Mandela National Stadium, Namboole failed. Chameleone’s Saba Saba concert will follow on Decemeber 7th at Lugogo Cricket Oval.